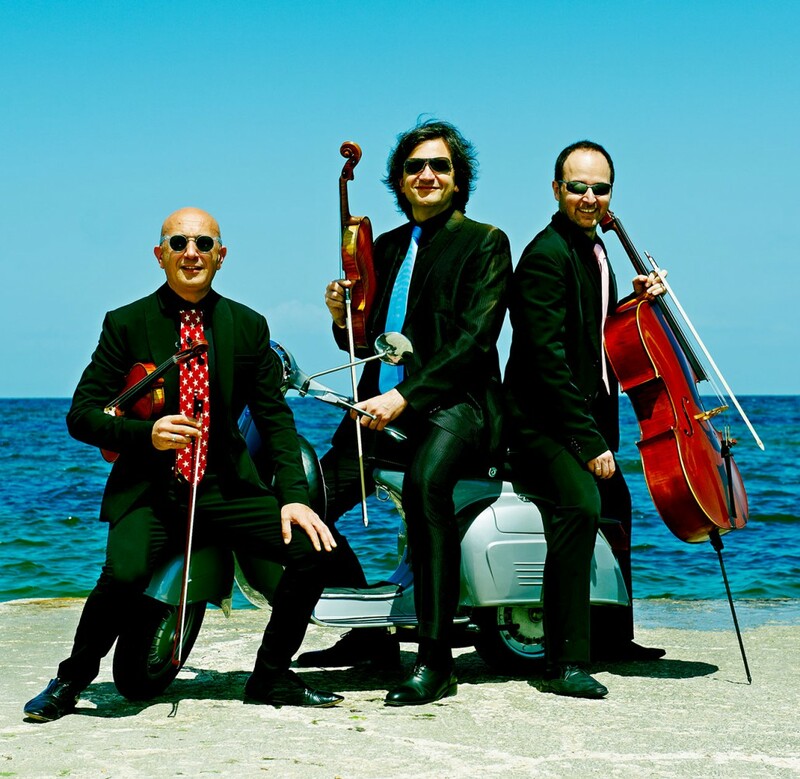 Founded in 1995, the Trio Lennon is composed of renowned soloists from the Marche region, and performs a repertoire that ranges from classical to romantic, with influences from the Vienna School to those of American music, including compositions created for the Trio, itself. Luca Marziali on violin, Roberto Molinelli on the viola (composer of the classical “arrangements”) and Alessandro Culiani, on the cello are the artists giving life and soul to this wonderful project. Roberto Molinelli has rearranged the immortal melodies of the Liverpool quartet, readapting them into a wider-ranging, symphonic structure, while still preserving the lyrical and expressive features that have made the original a lasting success, as epitomized by the classic “Hey Jude”, in which the musicians use their traditional instruments in new ways, typical of percussion instruments.